Recent research from KLAS shows that 60 percent of hospitals plan to go live with secure text messaging within the next year. So, what are secure messaging solutions, and why are so many hospitals planning to allocate budget and resources to implement and support them? 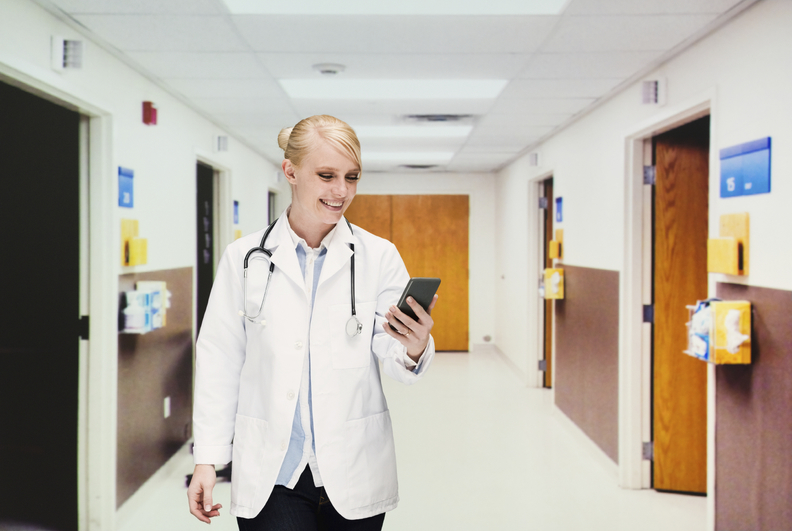 In a nutshell, secure text messaging solutions for healthcare provide traceable two-way communication channels that allow people and clinical systems to send secure messages to physicians and nurses. So many healthcare organizations are choosing to invest in these solutions because of the business benefits—compliance, communication, and clinical systems integration—or what I call the “three C's” of secure messaging. HIPAA, The Joint Commission, and Meaningful Use have become the primary business drivers for secure messaging, as they create regulatory and compliance standards for the healthcare industry. Healthcare organizations have long since been plagued with managing the risk of users sending messages via unsecure channels, such as SMS. As protected health information (PHI) is sent over these unsecured channels, sensitive patient data may be exposed to potential thieves and threats. It is important to leverage encryption and other features of secure messaging solutions to encourage regulatory compliance, not just to enable an organization to play by the rules but also to protect each patient's privacy and to be good stewards of the community. Secure messaging is not just a regulatory requirement —it's also the right thing to do. Along with the lack of security, many legacy and consumer messaging systems present challenges that have contributed to a significant number of communication failures within healthcare environments. In fact, The Joint Commission reports that 70 percent of sentinel events can be attributed to communication failures, which highlights how important it is for healthcare organizations to invest in better communication systems. Secure messaging solutions essentially take effective communication workflows from consumer messaging applications and apply them to an enterprise infrastructure. Another aspect of communication in healthcare pertains to how clinical systems communicate with physicians and nurses. Care providers receive alerts and alarms from a myriad of different clinical systems, often getting inundated with so many that it can be difficult to respond appropriately. Many secure messaging solutions integrate with these systems to bring all messages and alerts into one place and present them in an easily consumable format. This makes it easier for care providers to interpret prioritization and respond to each message appropriately. When you begin to write your business case for secure messaging, consider focusing on these three C's as your drivers. These capabilities can all be mapped directly to business needs, such as improved care coordination, reduced response times, faster care transitions and discharge times, and increased patient satisfaction. We hope to work with you soon to show you what this looks like in your environment—drop me a note, or leave us a comment on Facebook or LinkedIn to get the conversation started. This post originally appeared on the Spokwise Healthcare blog. Jason Stanaland is the mobility solutions consultant at Spok—he works closely with Spok customers on designing and executing mobility strategies, including rollouts of secure messaging solutions.